Where in the world did this truck come from!? The new ZR2 Bison is a Chevy Colorado on steroids. While the Ford Ranger Raptor waits in the wings, rival brand Chevrolet has something in store for pickup fans: the 2019 Chevy Colorado ZR2 Bison. 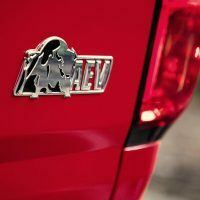 This is Chevrolet’s first ever collaboration with AEV or American Expedition Vehicles. The result is a rough and ready off-road machine that looks perfectly at home in the boondocks. “More and more enthusiasts are discovering that Colorado is ideal for off-roading, especially overland travel,” said Sandor Piszar, Director of Marketing, Chevrolet Trucks. 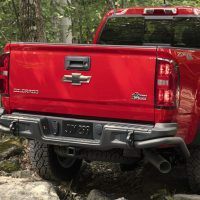 Chevy is enjoying more than a quarter of all midsize truck sales, and was the first with a diesel in this highly competitive segment. Now it’s about staying ahead of the game. 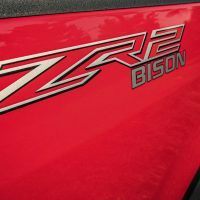 The ZR2 Bison is a step up from the Colorado Z71 and ZR2. The Colorado Z71 comes well-equipped with 17-inch alloy wheels, chunkier all-terrain tires, off-road suspension, and a locking rear differential to name a few. 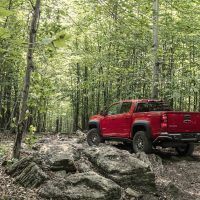 The Colorado ZR2 ups the ante with special bodywork to improve approach and departure angles, raised suspension, bigger all-terrain tires, Multimatic DSSV Dampers, and both front and rear locking differentials. “We’ve been following Colorado since its introduction, and the ZR2 really captured our attention,” said Dave Harriton, Founder and President of AEV. Hence why the 2019 Colorado ZR2 Bison takes it to a whole new level. But the mods are not just about decals, fender flares, and a new grille. Immediately obvious are the 31-inch Goodyear Wrangler Duratrac all-season off-road tires wrapped in Bison-specific 17 x 8-inch aluminum wheels. 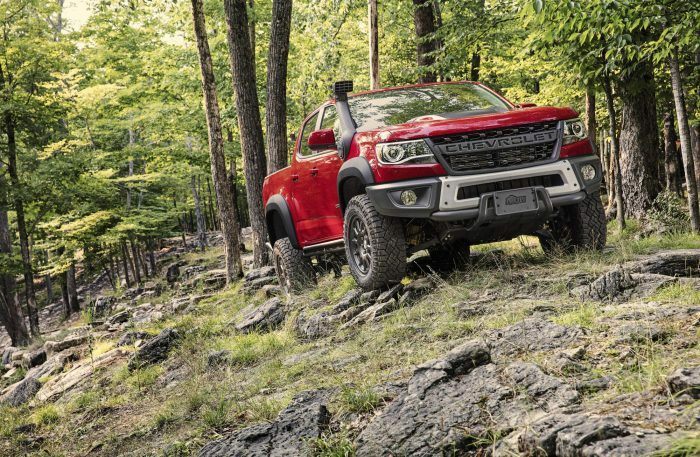 The 2019 Chevy Colorado Bison ZR2 also gets AEV-designed front and rear bumpers manufactured from stamped steel. 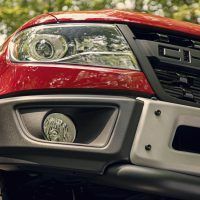 The front bumper can accommodate a winch and comes with built-in fog lights. The rear bumper comes with integrated recovery points as well. 2019 Chevy Colorado ZR2 Bison. Photo: Chevrolet. 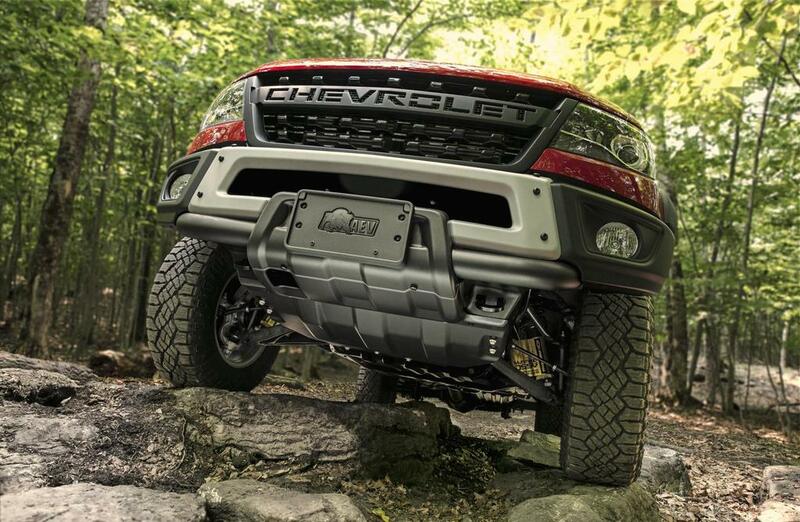 The Colorado ZR2 Bison plays rough, and has five skid plates to protect the critical points of the undercarriage. The skid plates cover the engine oil pan, fuel tank, transfer case, and the front and rear locking differentials. These are not flimsy metal pieces either. Chevy and AEV say they utilized the highest-quality hot-stamped Boron steel for supreme protection against rocky, jagged, and unpredictable terrain. The 2019 Chevy Colorado Bison ZR2 comes standard with an Autotrac transfer case, front and rear locking differentials, exclusive Multimatic DSSV dampers (similar to the ones on the Chevy Camaro ZL1 1LE and Ford GT), and cast-iron control arms for added durability. The Bison also comes with a modified 3.42:1 rear axle ratio and 3.5-inch wider front and rear tracks. The suspension is raised by two-inches like the ordinary ZR2. If you ask nicely with dollars in hand, AEV can install an optional snorkel for more efficient engine breathing. 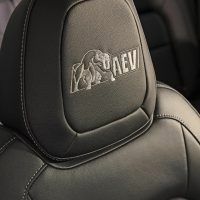 However, this requires cutting holes in the front passenger fender, so leave it to the professionals at AEV. Interestingly enough, the snorkel is also compatible with all variants of the Colorado. Even more interesting: Toyota added a snrokel to their Tacoma TRD Pro lineup months ago. 2019 Chevy Colorado ZR2 Bison with the optional air intake snorkel. Photo: Chevrolet. Engine choices are the familiar 3.6-liter V6 gasoline and 2.8-liter Duramax turbo-diesel mill. The gas-fed V6 generates 308 horsepower and 275 lb-ft. of torque and is mated to an eight-speed automatic. The oil burner churns out 186 horsepower and 369 lb-ft. of torque, connected to a six-speed automatic. The ZR2 Bison comes in crew and extended cab configurations with either a short or long bed. Anxious for your next off-road adventure? You won’t have to wait long. The 2019 Chevy Colorado ZR2 Bison arrives in January. 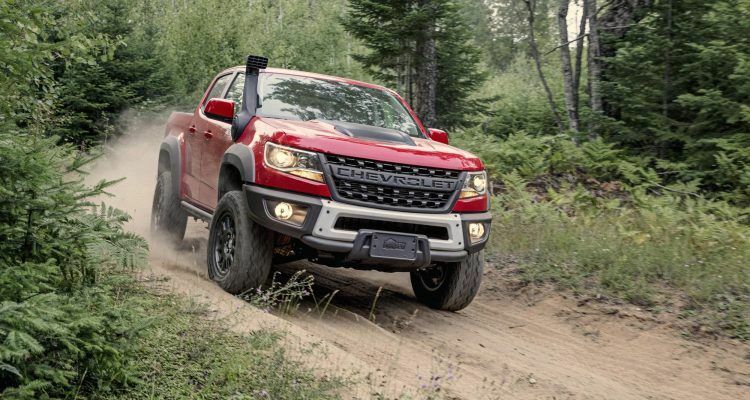 No Comments on "2019 Chevy Colorado ZR2 Bison Takes The Fight To Ford’s Ranger Raptor"